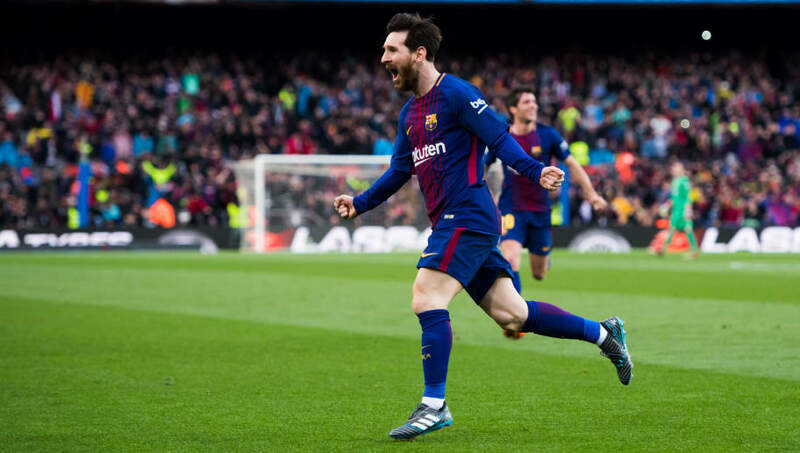 ​Manchester City's sporting director Ferran Soriano has ruled out the signing of Barcelona superstar Lionel Messi, in spite of the club's major financial clout. The Etihad outfit have been linked with a move for the Argentinian for a few seasons now, and with Pep Guardiola now at the helm, it was thought that they did have a small chance of signing the sensational forward. However, Soriano has poured water on all speculation, claiming that there is no chance of recruiting Messi and admitting that they will have to pursue their ambitions without him. "There is no chance of signing Messi," he told reporters in Argentina (H/T Marca). "I know him and his family well and I know they are fine in ​Barcelona, which is where he needs to be. "We will make our way without him, which will be more difficult because he is the best player in the history of football. He changed everything, he is a genius." The director also praised his manager, who he says is more of a hard worker than a genius. "The main characteristic of Guardiola is working," he continued. "He works more than anyone and sometimes people think that he is a genius, but it is because he works a lot. "He knows that football is very cruel and when you relax, you [can] concede four goals. Patience is essential and one way to understand it is to see that the teams that have won consistently are not the ones that change a coach every two months or every year." City, meanwhile, sit comfortably at the top of the ​Premier League table with 81 points and a 16 point gap between themselves and second-placed rivals ​Manchester United towards what should be their first league title since 2014.